Maritime Sunday leaves every thirty minutes. 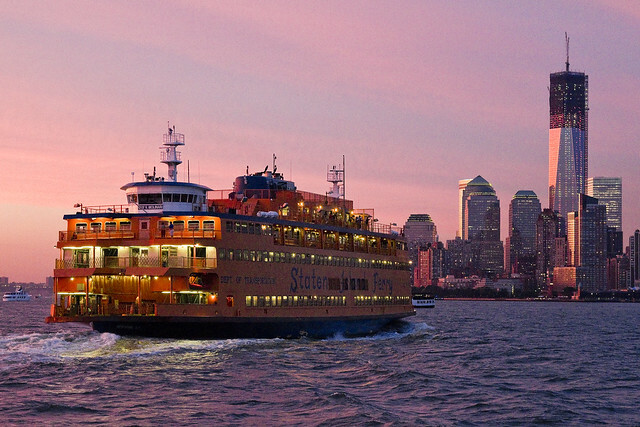 The seldom considered Staten Island Ferry – the most popular tourist destination in New York City – transiting forth and back from St. George on… Staten Island… to the Whitehall terminal located on the island of Manhattan. 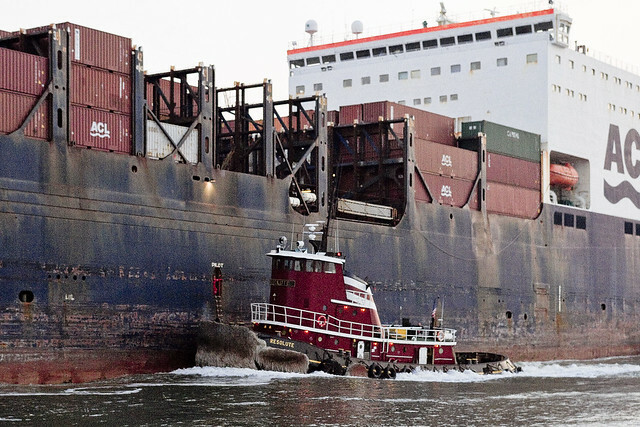 This shot from the archives depicts the latter leg of the transit, and provides for the opportunity to offer a rousing Maritime Sunday “huzzah” to the crews that handle the job. Maritime Sunday navigates out from the archives. 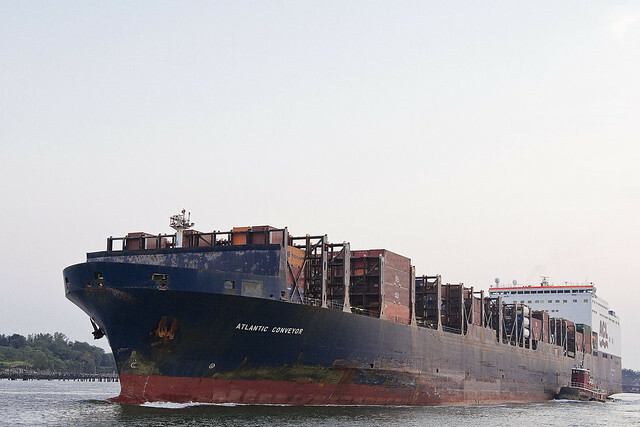 Buchanan 1 was built in 1967 and weighs 191 tons. 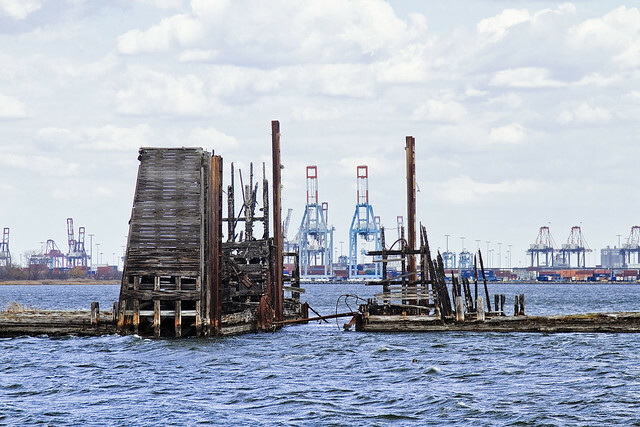 This photo is from 2007, and pulled from the extensive Newtown Pentacle photographic archives of NY Harbor. A humble narrator is currently enjoying a little “me time” and apologizes for the occasional recycling of older content, but even a motormouth like me needs to take a short break now and again. 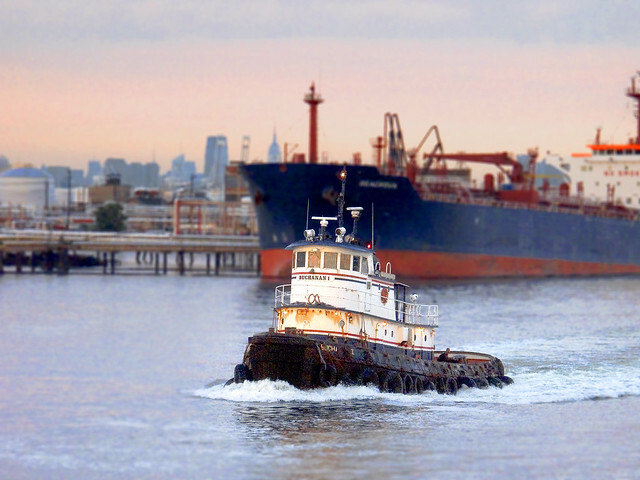 Anyway, Maritime Sunday. 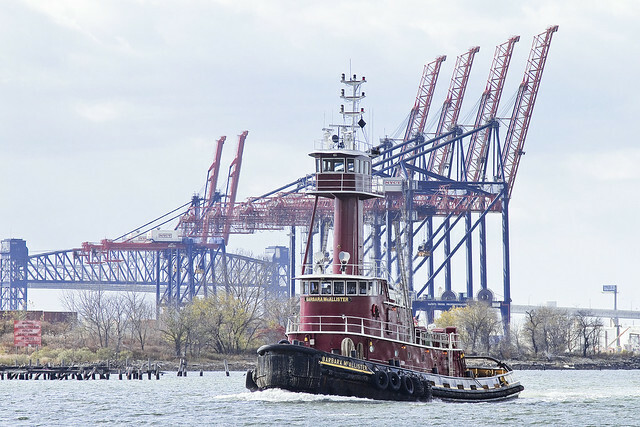 Maritime Sunday crashes into port again. 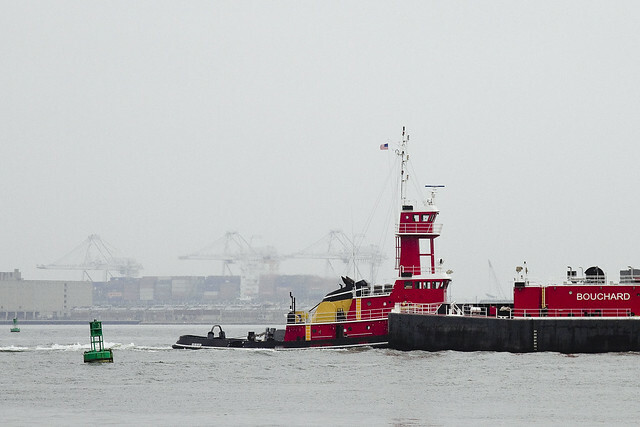 The winner of the 2013 Great North River Tugboat Race, McAllister towing’s Resolute was spied while guiding the Atlantic Conveyor Cargo ship from Port Elizabeth Newark to the open harbor along the Kill Van Kull. 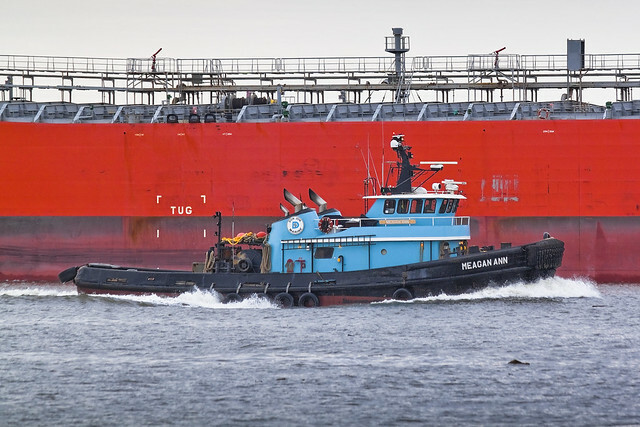 Resolute was running against the tide, and seemed to using all of her 3,000 horsepower to keep the larger vessel on course. A crew member from Resolute told me that the boat’s characteristic “beard” is referred to as “pudding.” It’s actually made of ropes, and is also referred to as a “beard,” although it is technically a “bow fender.” Most tugs these days use old truck tires for this function, which protects the hulls of both tower and towee at their point of contact. Check out this page at frayedknotarts.com for details on how pudding is made. Built in 1975, by Jakobson Shipyard of Oyster Bay, New York (hull #454) as the Resolute for the Providence Steamboat Company of Providence, Rhode Island. Today’s Maritime Sunday visits the family Bouchard. Evening Star emerging from the mists of the Kill Van Kull, as recently observed. 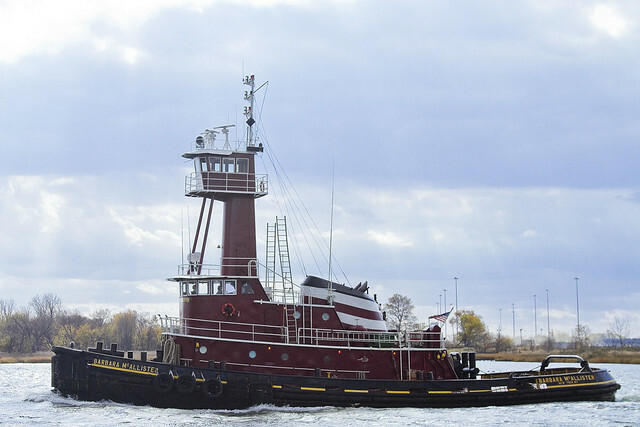 Brand new and shiny, the tug was built in 2012 and sports a 4000 HP power plant. 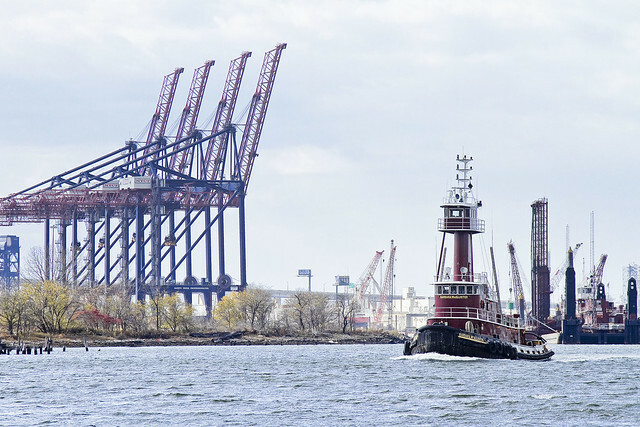 Maritime Sunday witnesses a somber duty. 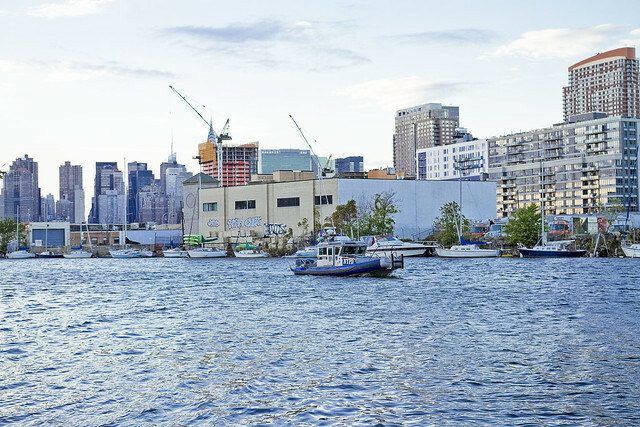 The infamous Newtown Creek, at its junction with the East River, flows languidly between Greenpoint in Brooklyn and Long Island City in Queens. This post is being written on Friday the 18th, and at the time of this writing, a young fellow named Avonte is still missing. Avonte Oquendo, a 14 year old Autistic boy, wandered out of his school in LIC on October 4th and has been missing ever since. To their credit, the NYPD is leaving no stone unturned in the search for the kid, which includes my beloved Creek. Patrol Boat 315, a SAFE boat, was recently observed combing the shoreline. 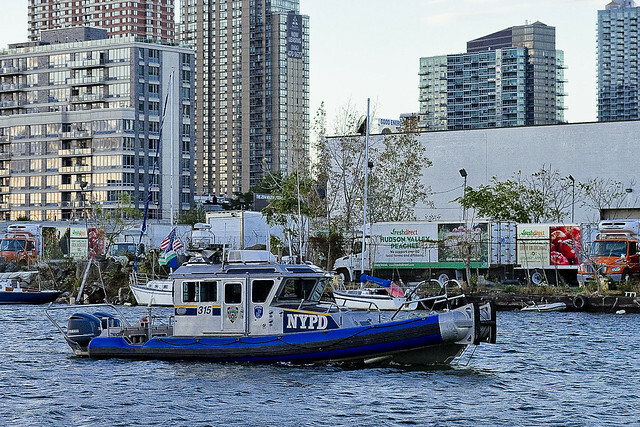 One of my informants on the Brooklyn side told me that they had witnessed NYPD individually checking the private boats which proliferate on the Queens side as part of the so called “Vernon Boat Sanctuary.” Descriptions of uniformed patrol units working in concert with the harbor units have all reached my ears. The sky has been alive with helicopters as well, which I can personally attest to. 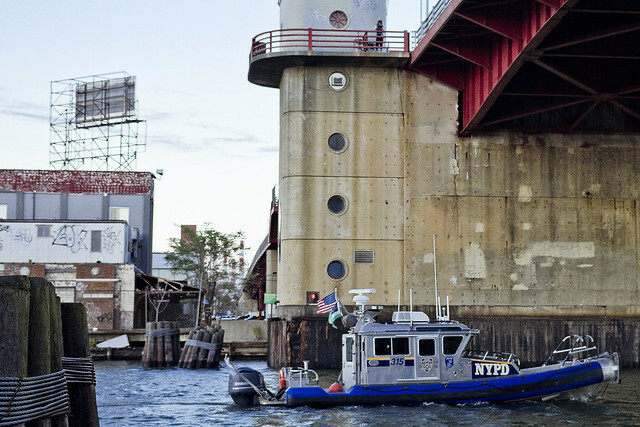 Today’s Maritime Sunday shout out goes to the uniformed crew of 315, tirelessly searching Newtown Creek for a local kid who’s in trouble. If you’ve got any info about Avonte or his whereabouts, his family is absolutely sick with worry. Avonte is described as 5-foot-3 and weighs about 125 pounds. He was last seen wearing a grey striped shirt and black jeans. Those with information are asked to contact the NYPD at 800-577-TIPS.